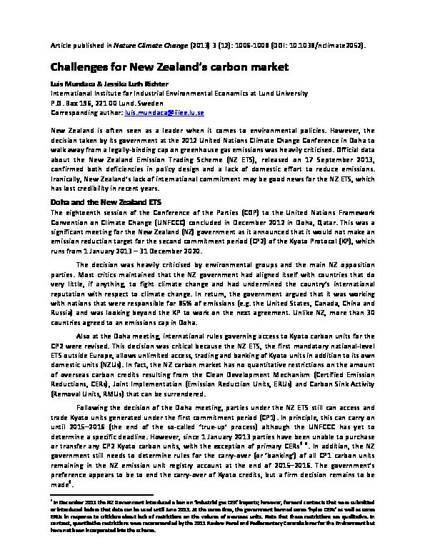 "Challenges for New Zealand’s carbon market" by Luis Mundaca T.
New Zealand is often seen as a leader when it comes to environmental policies, but it needs to do much more to reduce its greenhouse gas emissions. Mundaca, L. & Luth-Richter, J. (2013). Challenges for New Zealand’s carbon market. Nature Climate Change 3:1006-1008.